This is THE Day (of Hope)! 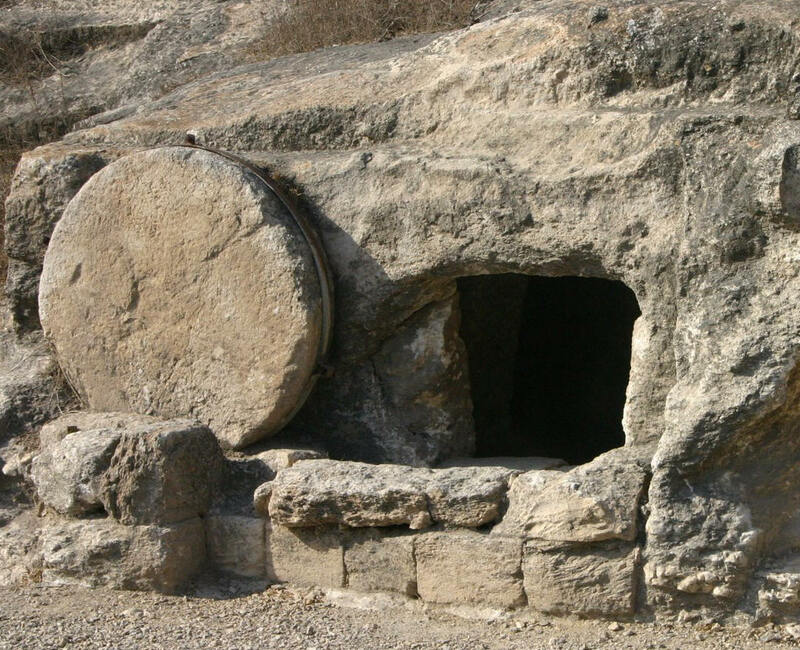 For those who’ve had loved ones go on ahead of them to their home in glory, today (Resurrection Sunday) truly is THE DAY that brings eternal hope that we’ll soon meet again. The “Image” or the “Word” of God? The Origin: I wonder how many of us when asked to describe what Jesus looks like would immediately describe a man with long hair in a white robe, wearing sandals and walking the dusty roads of Galilee? If this is the first idea that comes to mind, then we should ask ourselves where these kinds of images have originated from. The Word itself says very little about what Jesus looked like. Obviously there are certain things we can deduce, but over all, the Bible spends almost no time explaining Jesus’ appearance, i.e. His height, exact hair color, etc. Clearly, we get most of our images of Jesus from the images made by men, not the Word. 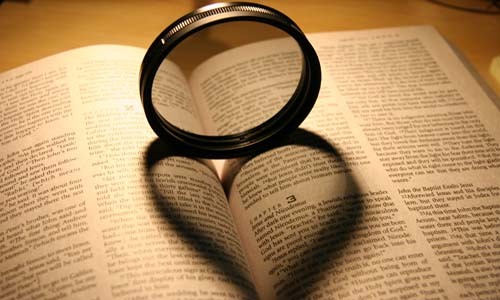 A Couple of Questions: If we take away every image, static or animated, would our understanding of Jesus be deficient? On the other hand, if we take away God’s Word, how deficient would we be? Although many claim the images of Jesus are helpful in building one’s understanding, may we never forget the disciples saw Him face to face for over three years and constantly struggled with their understanding of Jesus. Only after Jesus was raised from the dead and opened their understanding could they begin to “see” Him according to the Scriptures. “Then opened He their understanding, that they might understand the scriptures…” Luke 24:45. A Limited Perspective: It’s been accurately said that whatever way an artist depicts “Jesus” will only limit the viewer’s overall understanding. For example, if someone paints a strong Jesus, the viewer will focus on only one aspect of the glorious Savior. The same is true for the many other “Jesus” portraits, i.e. crying Jesus, weak Jesus, compassionate Jesus, etc. At best, an image will provide a shallow, limited perspective of just how great God really is. At worst, it will seductively lead people away from the truth altogether, encouraging the viewer to seek more images and less of the Word. This, although not always intentional, is a tragic result nonetheless! Lest We Forget: Jesus no longer even looks like He did when He walked as a man some 2,000 years ago. After He rose from the grave, He had a different appearance altogether. To take it even further, let’s carefully consider how Jesus was described in the Book of Revelation, the glorified Jesus who John saw and fell down as dead. The most accurate understanding of the eternal, glorified Jesus is found in the heavenly perspective, not what He looked like two millennia ago. “And in the midst of the seven candlesticks one like unto the Son of man, clothed with a garment down to the foot, and girt about the paps with a golden girdle. His head and His hairs were white like wool, as white as snow; and His eyes were as a flame of fire; and His feet like unto fine brass, as if they burned in a furnace; and His voice as the sound of many waters. And He had in His right hand seven stars: and out of His mouth went a sharp two-edged sword: and His countenance was as the sun shines in His strength. And when I saw Him, I fell at His feet as dead. And He laid His right hand upon me, saying unto me, Fear not; I am the first and the last, I am He that lives, and was dead; and, behold, I am alive for evermore, Amen; and have the keys of hell and of death.” Revelation 1:13-18 Keeping in mind many of these are character descriptions, they still reveal Jesus in His awesome, glorified, and eternal state. Interestingly, the Scriptures speak much more in depth concerning Jesus’ appearance in Heaven than while He ministered in His earthly tent. The BIG “Picture”: The Apostle Paul, through the inspiration of the Holy Spirit, gives every believer a wonderful hope, “For now we see through a glass, darkly; but then face to face: now I know in part; but then shall I know even as also I am known.” 1 Corinthians 13:12 There is much more to Jesus than meets “the eye”. We are so willing to picture Jesus as a man, which He fully is, but may we never forget He is also fully God and is coming back very soon in the clouds to call His children to their eternal home in the heavens! Jesus is called the Word, not the image, of God for a very important reason. If we want our understanding to grow, we must go to His Word! So until He returns, may we continually remain in Him, seeking to understand and know Jesus Christ by carefully studying and obeying His glorious and eternal Word!